In September 2015 I held another successful 4 hour short course for homeopathic medicines which are especially useful after accidents and in emergencies. The course was held on 2 afternoons so that participants had a chance to use some medicines from their new kits of 12 medicines and ask questions the following week. The feedback was great and now more parents, educators are aware of the possibilities with homeopathy. If you are interested in attending such a course, just contact me. 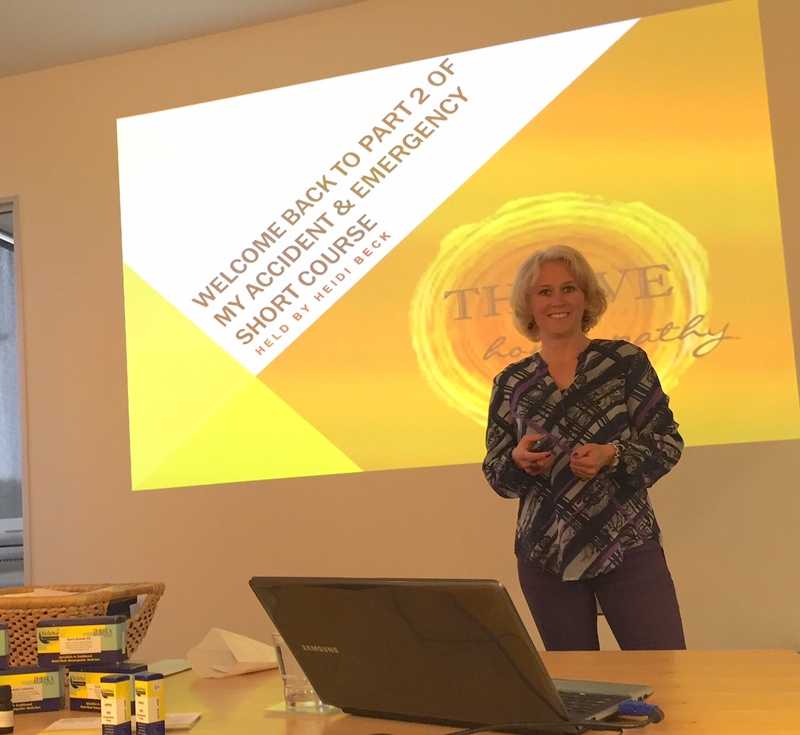 I can also offer to give short courses for private groups, clubs, businesses,... I am always keen to raise awareness and help give people choices.